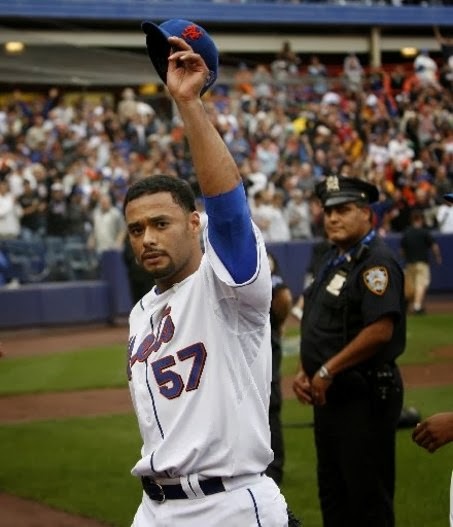 Seemingly fizzling pitching phenom Johan Santana is reportedly close to signing a minor league deal, but the Red Sox have already passed. The southpaw was linked to the Red Sox because he still resides in Fort Myers, Fla. where the Sox train, but because GM Ben Cherington said there would be no offer, the deal may be with the Minnesota Twins, who also train in Fort Myers. Santana could end up in AL East though, as he has been linked to the Rays, Yankees, and Orioles. He has also been linked to the Pirates and the Brewers. If his current residence truly is a factor in speculations, that would probably leave out the Brewers, as they train in Arizona rather than Florida. Although he sat the entirety of the 2013 season due to reconstructive shoulder surgery, Santana will be all set for 2014. But whether or not the 34-year-old will be as good as he was from 2002 to 2010 is a concern. Santana also missed the entire 2011 season and posted a subpar 4.85 ERA with the Mets in 2012. Given his recent track record, the Red Sox were smart to say no to Santana, even if it would be a minor league contract.